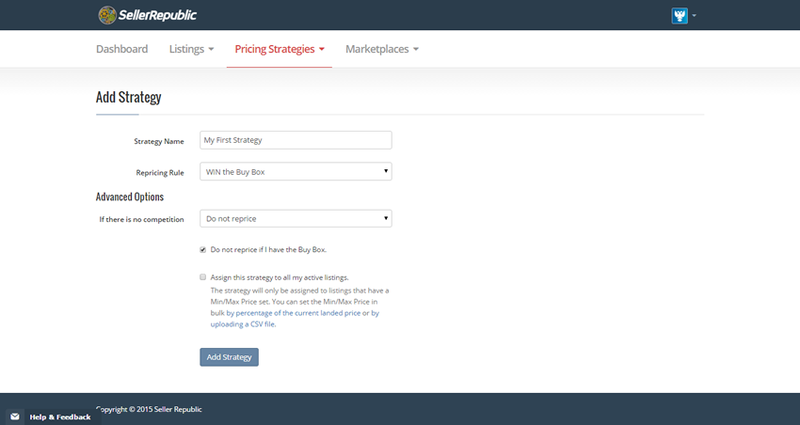 Start by clicking Add Strategy in the Pricing Strategies drop down menu. On the next page give your strategy a name. You can choose to go above, below or match the Price or the Lowest Competing Price. *Remember going lower is not always the best strategy. Once you have finalized your strategy click 'Add Strategy'.